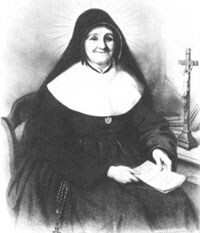 St. Julie Billiart founded the Sisters of Notre Dame de Namur to make known God’s goodness, especially among the poorest and most abandoned people in the world. Today, Sisters work with refugees in London, street children in Nairobi, immigrant farm workers in Florida, AIDS orphans in Zimbabwe ... and always, women and children, who are among the very poorest. Sisters work to enable those who are materially poor to obtain what is rightfully theirs by changing unjust structures. Sisters of Notre Dame de Namur are recognized as outstanding educators and, over the years, thousands of Sisters have taught children and adults on five continents. Although many Sisters continue to staff schools, others have chosen to work with the homeless, AIDS patients, the elderly poor and countless others in need of help. 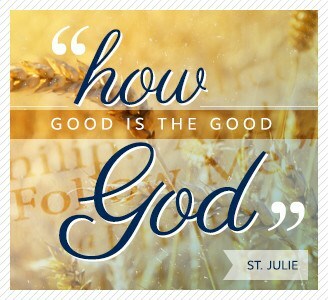 All of this activity has one aim: to proclaim in our time, as St. Julie did in hers, that God is good! The Sisters came to Lawrence, MA in 1859 to work with the children of the mill workers and they have remained serving the newest immigrants through education and parish work, as well as working with citizenship and English as a Second Language. In addition to working with NDCR, Sisters also staff the Notre Dame Education Center in Lawrence. Hallmarks are the essential characteristics, values and activities of a Notre Dame learning community. 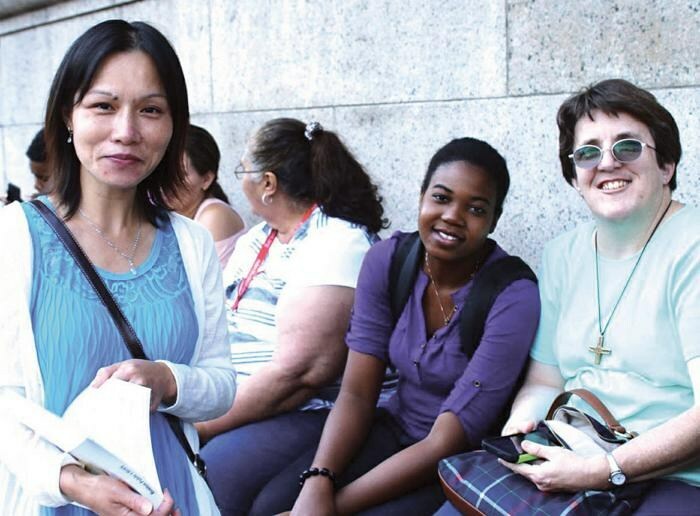 Sisters of Notre Dame de Namur, women with hearts as wide as the world, make known God’s goodness and love of the poor through a Gospel way of life, community and prayer. Continuing a strong educational tradition, we take our stand with poor people, especially women and children, in the most abandoned places. Each of us commits her one and only life to work with others to create justice and peace for all.